Backfill is used to replace soil or dirt that was excavated from the ground. This can include a garden site for raised beds or material to place behind a retaining wall. Typically when calculating backfill, the material will not include any large rocks or forms of vegetation. Most importantly, backfill should never include any wood debris as this material will decay and cause underground voids. The voids can eventually collapse and create a depression in the middle of the fill area. 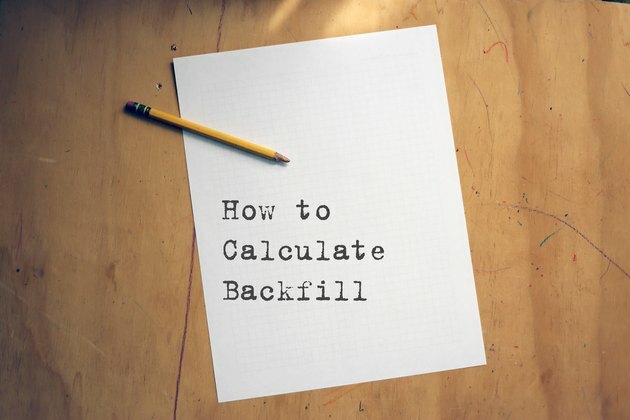 Backfill is generally calculated in the form of volume in cubic feet or cubic yards. Calculate the volume of the space to be filled. For example, find the cubic footage volume of a backfill area that is 8 feet wide, 6 feet deep and 50 feet long. 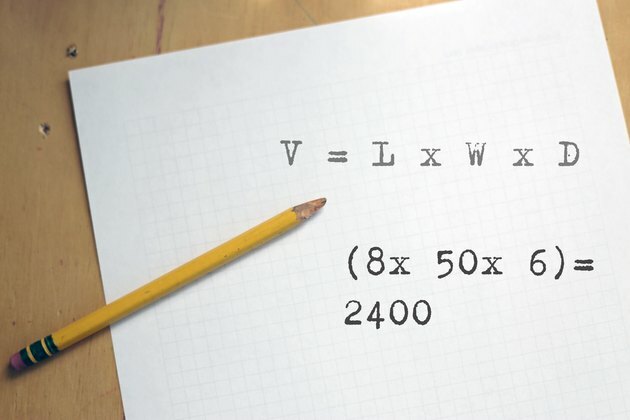 The volume of a rectangular cubed shape is found by the formula v = l x w x d, where v represents volume, l is the length of the trench, w is the width and d is the depth. 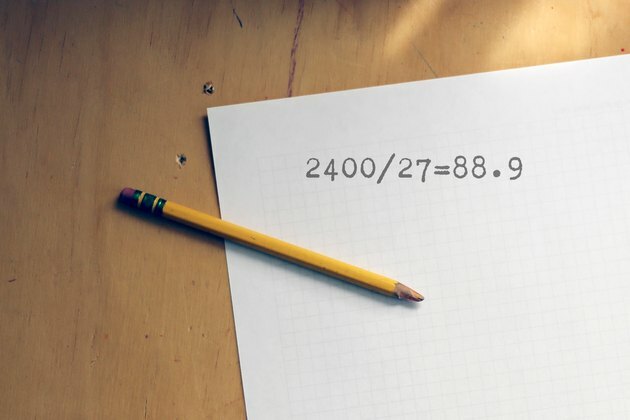 Applying the numbers to this formula (8x 50x 6) the cubic footage of the example area is 2400 cubic feet. 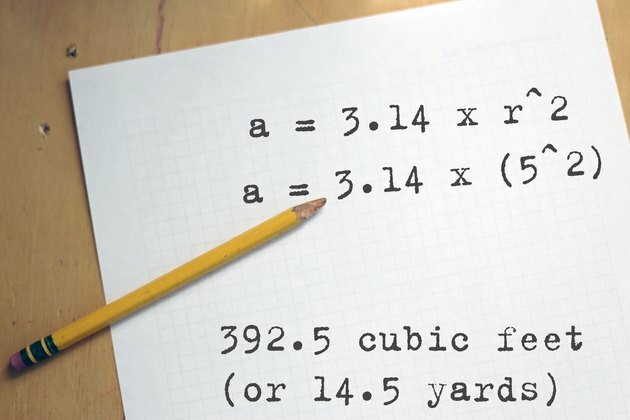 Calculate the cubic yardage of the same trench. Backfill is typically sold by the yard. Like concrete, it should be converted from feet to yards. There are 27 cubic feet in a cubic yard. Think of a cubic yard as a cube that is 3 feet wide, 3 feet long and 3 feet deep. Divide 2400 by 27 to yield 88.9 cubic yards. Next you might need to fill a round hole that is 10 feet in diameter and 5 feet deep. We must first find the area of the round hole, a circle. Area is equal to Pi times the radius squared, or a = 3.14 x r^2. Applying the numbers to the formula, 3.14 x (5^2), or 3.14 x 25, the area of the base of the hole is 78.5 square feet. The volume is equal to 78.5 x 5, which is 392.5 cubic feet, or 14.5 yards. Estimate the number of truckloads that will be required to fill these two holes with backfill. 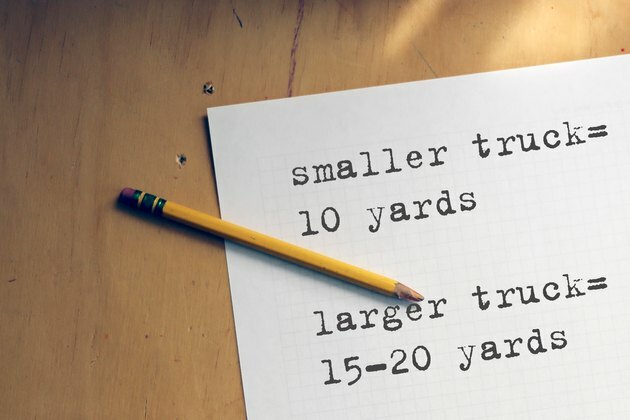 Typically, smaller trucks have a 10-yard fill capacity, while larger trucks will range in capacity from 15 yards up to 20 yards. The weight of the fill material will dictate the amount of backfill that can be moved over a highway or street. To fill the round hole project in Step 3, a single truckload with a 15-yard capacity should be all that is needed. Divide the amount of backfill from Step 2 to find the amount of truckloads needed for a 10-yard capacity truck. 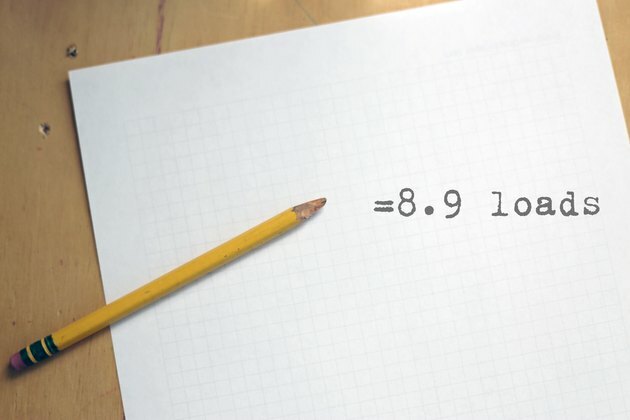 The answer is 8.9 loads, for a total of nine loads required.